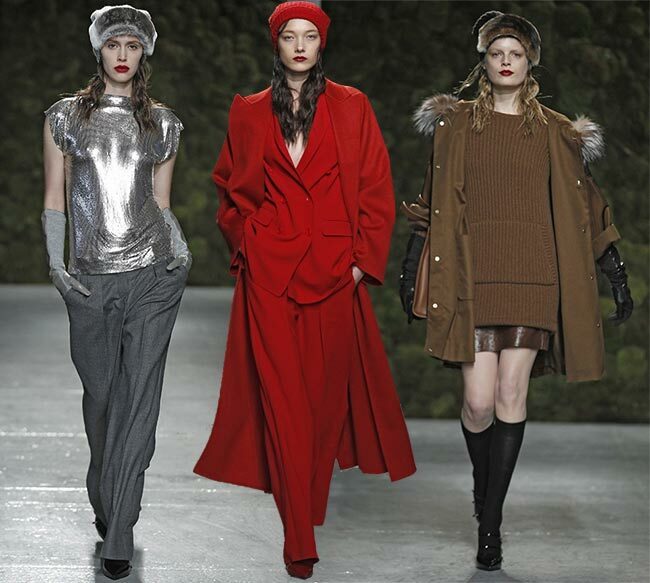 The vision of Achille Maramotti, wherein the industrial process supports the production of high quality designer clothing that later became part of the ready-to-wear concept, continues to this day, particularly when we look at the latest Max Mara pre-fall 2015 collection that’s been released. 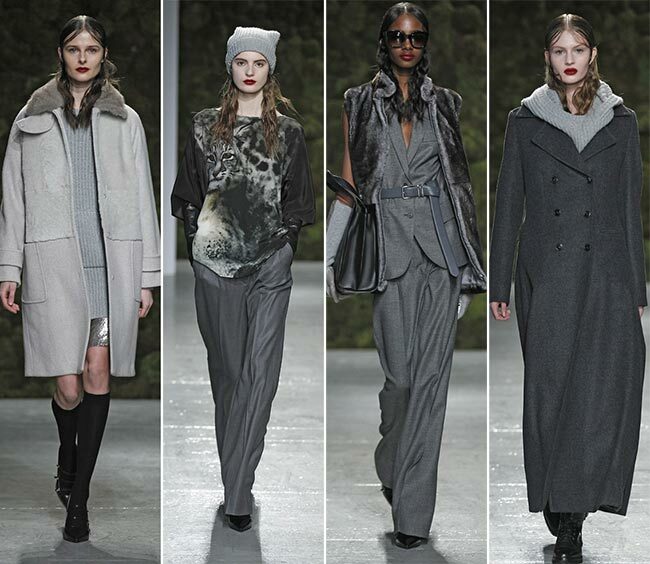 A proper fashion show was staged in Chelsea, wherein the company known today as Max Mara Fashion Group made it clear that it is making its mark on the arts world, sponsoring the opening party of the new Whitney Museum of Art in New York. The collection itself was inspired by the museum’s artistry, as well as the neighbourhood it has been located in. There’s something of The Roxy in there, along with the Seventies heyday. We’re looking at steel and dark alleys, grey weather and ivory whites. 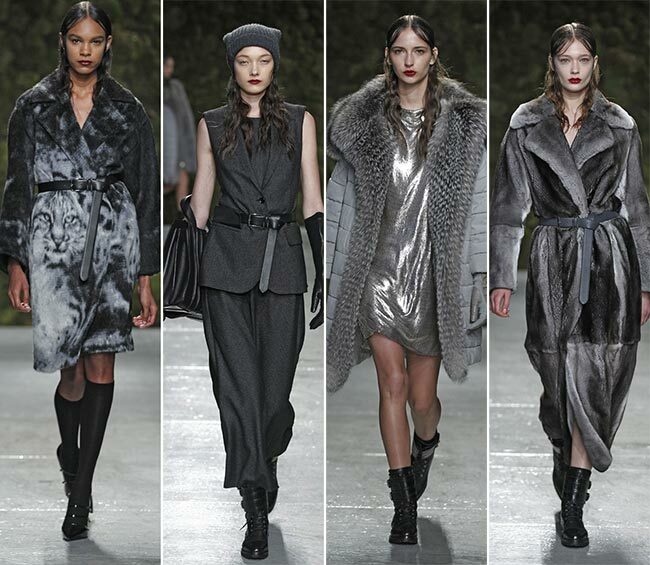 It’s a mostly darker line-up we are treated to as Max Mara brings out the ultra-suede padded coats with fox fur lining, along with bobcat motifs. 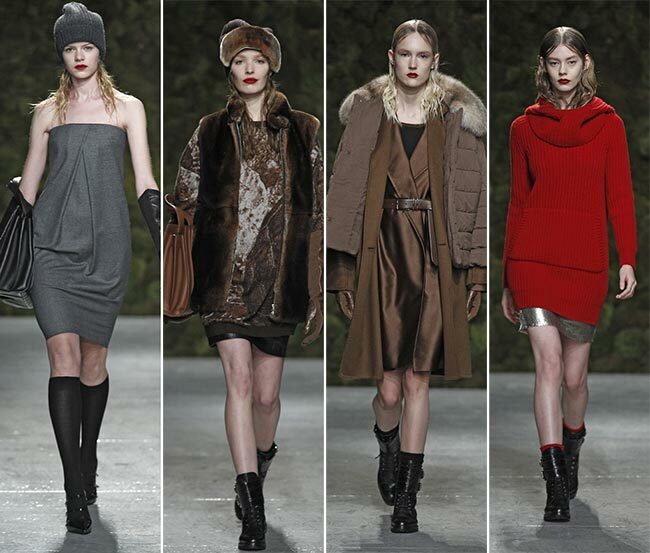 Yet it’s the blacks and browns and the final crisp crimson that truly set the collection’s tone. Since we are currently in the throes of winter and speaking about a pre-fall collection, it might be best to start off with a rather warm ankle length black dress coat, with four buttons and triple pocket lapels. It’s a gorgeous silhouette and certainly worth having, particularly with the frightful weather seen across the northern part of the world. The wet hair look and natural waves continue to show up on the runway, but the bare face is replaced with the red lips, wherein adding any other makeup product to the visage would be a sin unto itself. The deep red rose color of the lips is certainly one to draw attention. Speaking about coats, the belted wraparound is rather perfect and oh-so-chic, with its length touching the ankles, the slit from the opening showing just enough leg while the feet are adorned with slightly bulky half boots that do little for aesthetics but look very comfortable indeed. The material alone is gorgeous, while the deep V at the neck lends a touch of sensual to the overall outfit. Add a warm tuque to the mix and you have one entirely too appealing garment. Don’t forget the blood red lipstick! The coats continue with the animal fur, with the mink and the fox lining worn over a rather brightly glittering silver mini dress that seems to have no shape but lots of style. The boots are a stark contrast to the fashionable affair, lending a note of comfort to the outfit while also keeping a touch of chunky femininity. Clubbing or a night on the town, this look works for you, complete with the wet hair parted from the middle and waving down to past the shoulders, and red lips on a face wherein you do not see any other accessories, including earrings. There’s something rather school-girlish about the next look, complete with black shiny shoes, knee high socks and a warm tuque for the winter days. A longer black sweater has the darkness of it all counteracted with a bright silver miniskirt that is barely visible below the sweater that appears to be more of a dress itself. It’s a stark look and complete with the red lips and wet or oily looking hair. 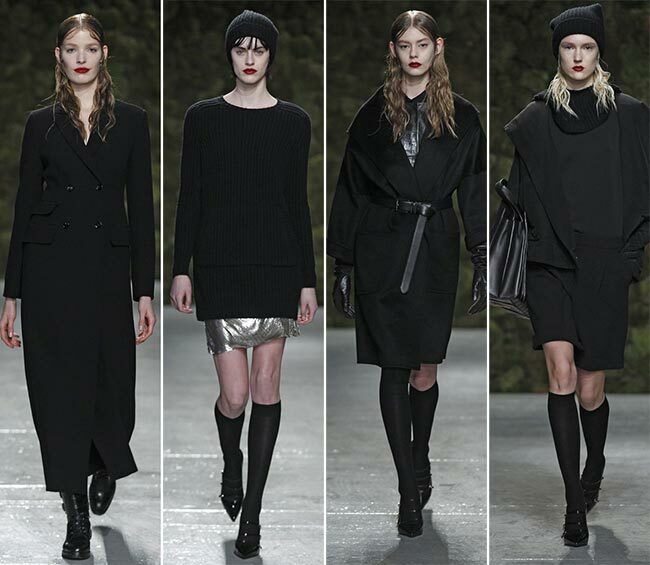 If we’re talking schoolgirl, the same shoes and socks can also be added to the lovely and rather warm look, with its open jacket, the cowl neck on dark grey sweater, the shiny leather back and the warm hat worn over wavy hair and face adorned with red lipstick that really sticks out from the otherwise bare face. 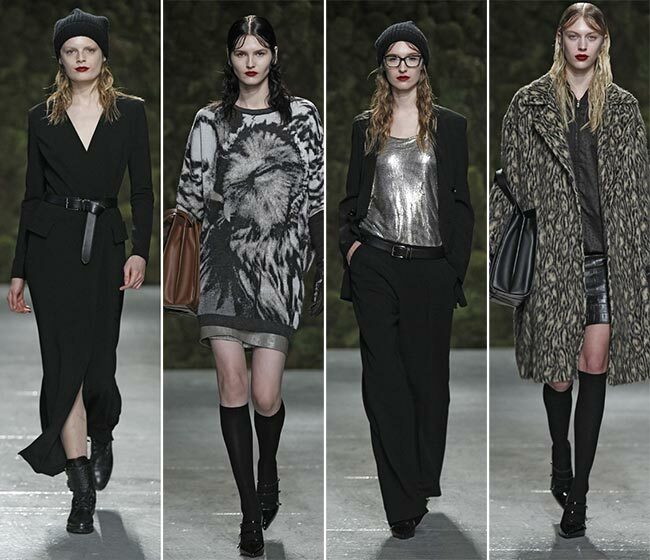 The midi skirt is also rather interesting, lending the bleak look more of a mature tone overall. The maturity is shown throughout the Max Mara pre-fall 2015 collection, making its mark on most pieces and looking truly fashionable for the beginning of fall. The grey colors particularly are attention grabbing, with their shiny fabrics and easy flow against the body. Loose-fitting suit sets, with grey belts worn over, complete with sleeveless fur jackets and matching leather handbags are all the rage these days it seems, while the super large sunglasses are here to stay a while. Add a lighter shade of grey gloves to the mix and you have a rather classy, positively posh outfit to walk down the streets in. Positively gorgeous!